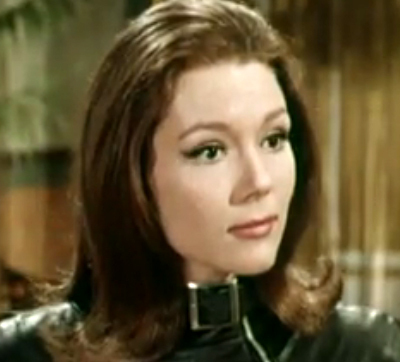 In an interview I saw recently Diana Rigg stated that she hates the name 'Emma Peel'. She never went on to elaborate, does anyone know of any particular reason for her dislike ? 2) It's been well documented how unpleasant of a working experience it was for her. If this was today, she at least would have a huge salary to compensate her for all the long exhausting work and BS she endured during her tenure. I know her feelings towards, and experiences on the series, my point really was from the interview it came across that she loathed the name 'Emma Peel'. I was just curious if there was a reason, her comment seemed directed at the actual naming of the character rather than her well documented feelings towards the part she played and the Avengers in general. I believe she still gets her 2% royalties from all profits the series makes even today. Not many actors can say that about a show they starred in over 50 years ago. I feel it might be because of how the name, Emma Peel, was arrived at. It is now Avengers-legend, that publicist Marie Donaldson was thinking about what the new character needed to have. She was thinking she needed "Man Appeal", which she eventually shortened to "M-Appeal", which led to "Emma Peel". So it might be that Diana Rigg thinks that it is ironic that for a strong independent woman that Emma Peel was supposed to be, her name actually derived from Man Appeal !! And thus, she dislikes the name! Also, in interviews she has been very scornful of the idea that the producers created such a poweful female icon on purpose. She has reminded people that the original partner for Steed was a man (Dr. David Keel played by Ian Hendry), and that when Hendry left they chose a woman (Honor Blackman) to play a man's part and didn't change the scripts! She states that it was because of this that such a powerful female character and icon emerged-by accident and not at all intentional. In various books/interviews about the series it has been stated that creator Sydney Newman wanted a woman to replace Ian Hendry, but she wasn't playing the exact same part. Not in the way that the re-imagined "Battlestar Galactica" TV series did, by turning the previously male character of Starbuck into a female. Or, as thy did in the TV series "Elementary", whereby Dr John Watson is now a female Watson! So, not sure if it is accurate to say that the same scripts were used for Cathy Gale that had been written for David Keel. In the same books on the series, it has been stated that the remaining Keel scripts after Hendry had left were used for the character of Dr. Martin King (played by Jon Rollason) without change. (for 3 episodes in series 2). Thus Dr King has no introductory story-he and Steed already know each other. However, Honor Blackman has stated in various interviews over the years that her original scripts were written for a man and that once the writers knew they were writing for a woman they began to soften the character. They had to be told that this was to be a different kind of female character. Again, not sure if this is entirely accurate. If so, was it original producer Leonard White who had to remind the writers ? Or could it be that Honor Blackman was originally given a Keel script or 2 to read when she was to begin playing the part of Cathy Gale, just to give her an idea of what the series was about ? 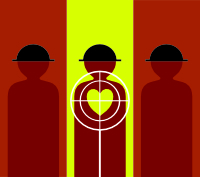 After so many years it would be easy for those involved to forget the exact details of such things and thus different versions of what actually happened emerge. wow, amazing that she still sees some sort of royalty payment.. I believe that's correct. Both her and Patrick. Yes, Patrick once said in an interview that whoever buys the series has to pay him and Diana their 2%. It has changed hands many times, including Weintraub Entertainment Jerry Weintraub produced the film in 1998. He bought the series to own the film rights and then quicky sold the series to Lumiere .Studio canal, are, of course, the current owners. Patrick also said that they are supposed to receive repeat fees but there is a clause in the contract stating it has to be shown in 50 contries at the same time or something similar to that, in order to receive it! Seems very unfair and there might well have been a new contract or a re-negotiation later, especially in light of the video/DVD market. The US and UK actors unions did fight to have fees from these sales paid to their members whose contracts hadn't inclluded them, such as pre-1980s, before the home video market began. Today, of course, it is usually included in actors contracts. Diana seems to have been busy lately. I've enjoyed her performances in the current and final series of Game of thrones. Then tonight she cropped up in the new series of Victoria as the Duchess of Buccleuch, and stole the show! Tonight I watched what I think was Diana's TV debut. It was on a long forgotten TV series from 1963 called The Sentimental agent. Not a brilliant series it has to be said, but fascinating to see Diana already looking like Emma Peel. Even down to the hairstyle! I forgot to mention that the above episode of The Sentimental agent was scripted by Brian Clemens. I've heard it said that Diana was spotted in the 1964 TV play the Hothouse and then asked to audition. I'm sure Clemens would also have remembered Diana in this too, even though this was made over a year before she auditioned. Diana Rigg is to star as narrator in A Christmas Carol goes wrong, shown over Xmas on BBC. If anyone saw Peter Pan goes wrong last year, you'll know this group are hilarious. Only just found out it was recorded last night in front of a live audience. Wish I'd been there, but very often you only get to hear of these things after the event. Grr! Wonderful news - I'm sure this will a television highlight over the Christmas period - nicely complementing BBC4's Christmas Eve ghost story night. Peter Pan Goes Wrong was very funny. Ditto - what excellent news. Christmas TV has increasingly become so empty and totally lacking in any form of proper entertainment and fun - then along came Peter Pan Goes Wrong. THE highlight of last years TV for me. I watched it several times. David Suchet was hilarious as the narrator. I can't wait to see what Diana Rigg brings to this new production - she has a wonderful comic sense. A Christmas carol goes wrong (with Diana) is on BBC1 at 7.10pm on 30th Dec. Can't wait! Rich. Fine!!! Diana Rigg gives us a wonderful month - A Christmas carol goes wrong and partcipation in special episode of Victoria on 25 Dec.